This is a Keto Basics recipe because it's so simple to prepare and has virtually 0 carbs. I always pick up a package or two of these for snacks during my weekly meal prep. 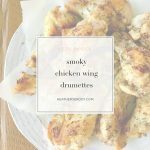 The best way to make these smoky chicken wing drumettes is right after you've cooked up a package of bacon in a pan. Just add the drumettes to the hot bacon grease, add some pepper and liberally sprinkle with dried thyme. It doesn't get any easier or yummier than this! Keto, Paleo, & Primal approved. Heat a large cast iron skillet to medium/hot. Add leftover bacon grease, or just use reserved leftover hot bacon grease after you've cooked up a package of bacon. Add drumettes to hot bacon grease. Crack pepper over drummettes and sprinkle thyme over. Cover and cook 5 minutes. Flip drummettes and cover 5 more minutes. Kepp turning chicken until cooked through and nicely browned on all sides. Remove from pan and sprinkle with sea salt and more thyme, if desired. Serve hot with your favorite dip or mayonnaise. 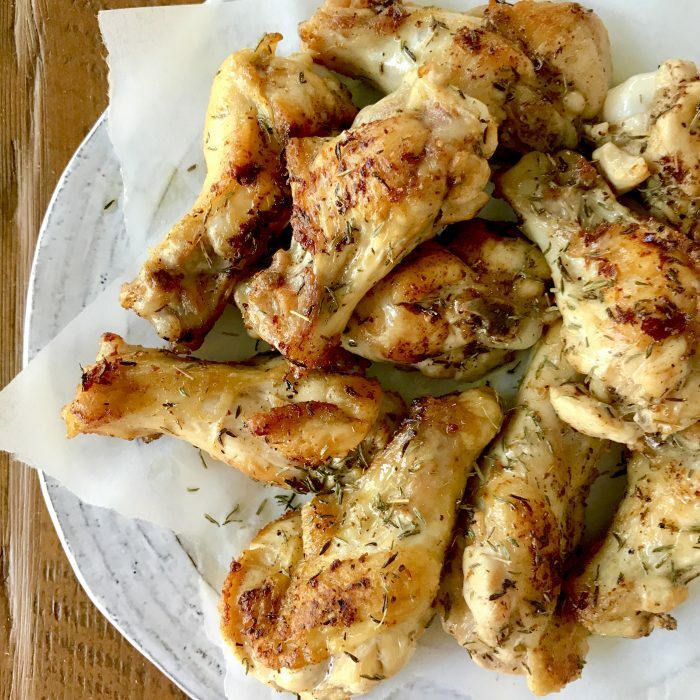 Previous Post: « paleo primal or keto?